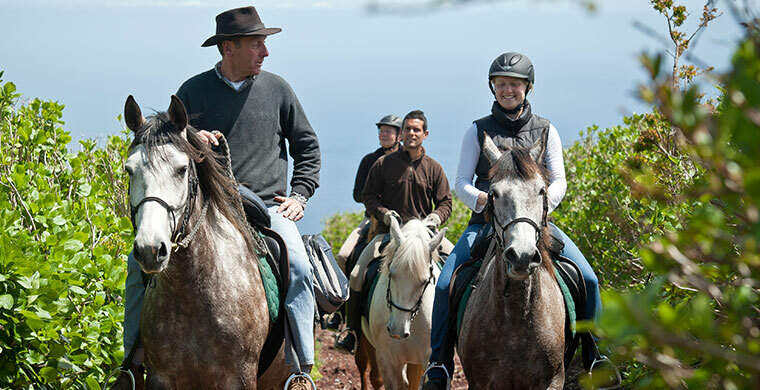 We offer for more experienced riders a Half-Day-Coast-Trail or the Full-Day-Panorama-Trail. 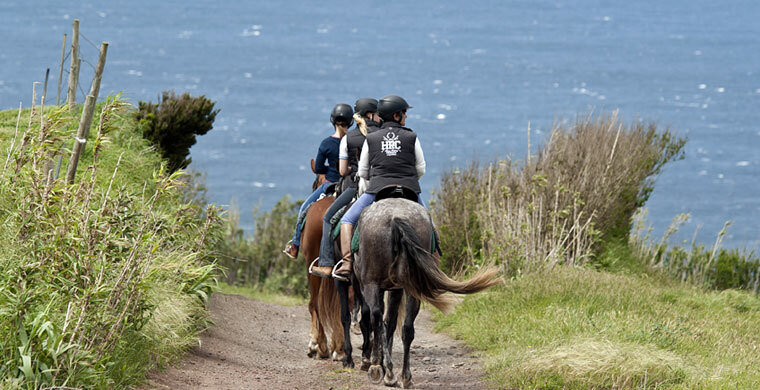 Start and Destination is always our base PÁTIO Horse & Lodge. Over old village roads through jungle like ginger forests, we ride to a small canyon. 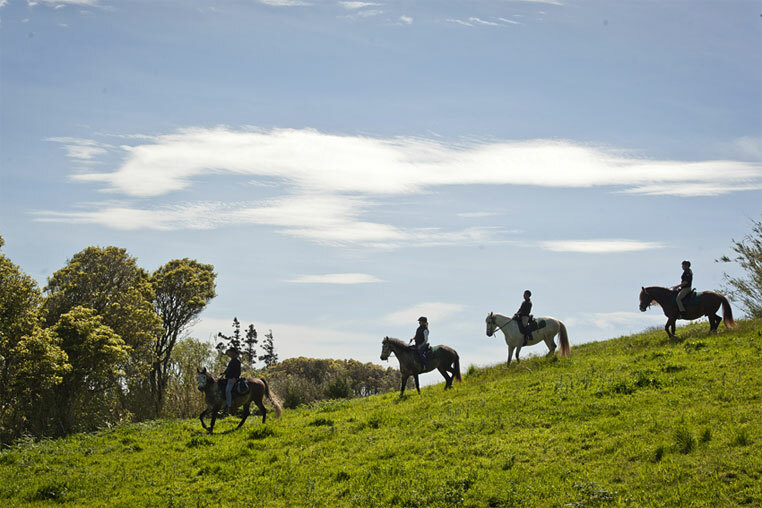 We ride over green meadows with great views to the Atlantic Ocean. 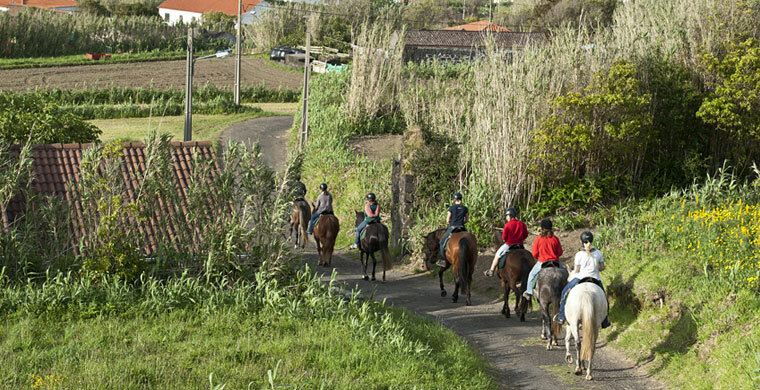 Nice canter passages lead us to the yam fields of Cedros. 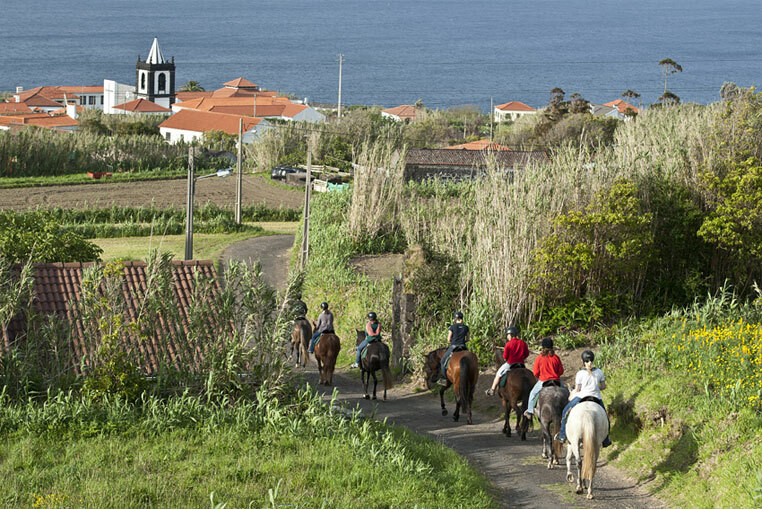 We reach the highest located village of Faial – Ribeira Funda. Enjoy old farmer houses, and great views into a deep valley. There are plenty of buzzards hunting bats during the thermal lift. Back to the Atlantic coastline we pass the old Whale-Watching-Station Cabeço de Vigia. Located at a caldeira it offers a 200º view over the Ocean. With a little luck we will see whales or dolphins in the sea. Back to the village of Cedros our trail directs us along century old farmer houses back to the PÁTIO Lodge. 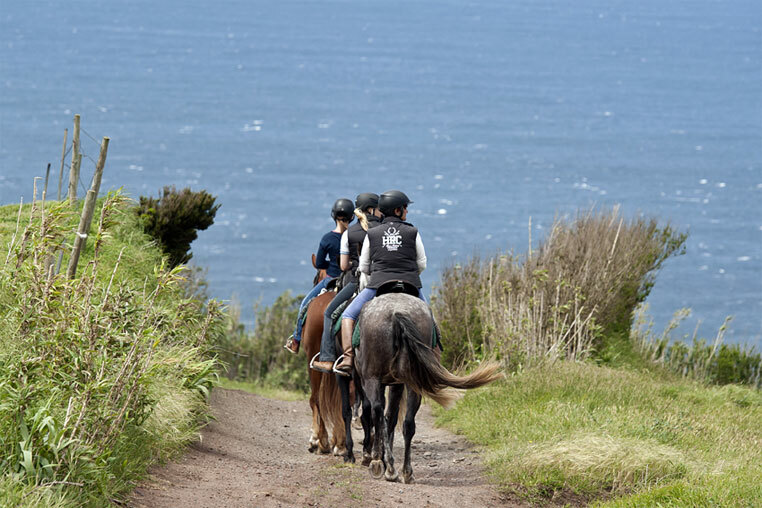 Depending on your riding skills and the actual conditions we choose for you a dreamlike horse-trail on Faial Island. Might it be to the old lighthouse of Ribeirinha, through junglelike forests, to the volcano of Capelinhos or to the spit of Fajã. At lunch we serve saddlebag picnics or at nice places a picnic. The Day-Trail might be a One-Way-Trail or a Round-Trail. You always come back on horse or with a transfer drive to the Lodge. Booking the whole year around, 24 h in advance. Able to ride in all paces. Sufficient physical condition to hack for 4-5 hours. Max. riders weight 95 kg. 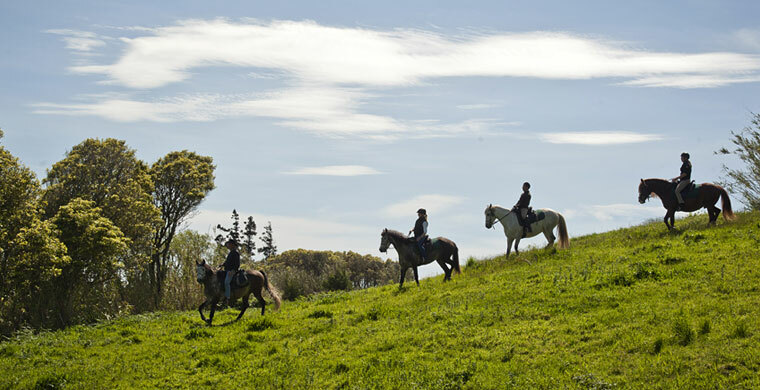 We suggest that you bring the following special equipment with you: waterproof trekking footwear, windproof and waterproof jacket and trousers, riding helmet (also available on site). Raincoats can be rent for 5 €/day. 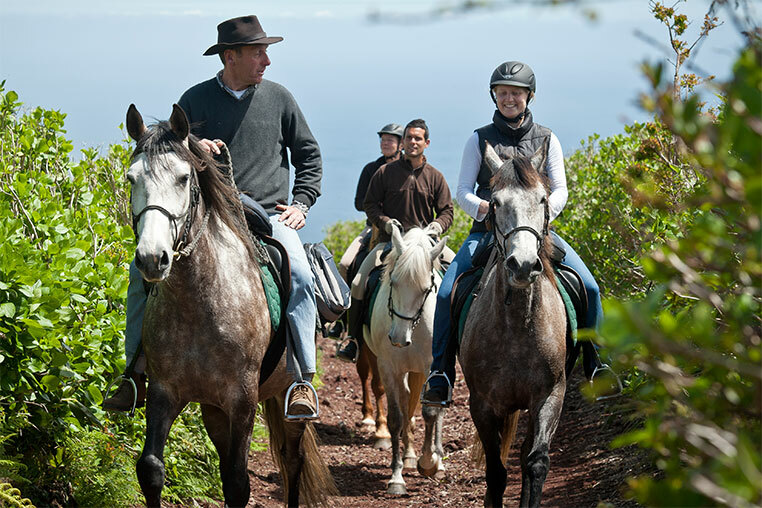 All trail itineraries are general guidelines and in order to offer our guests the best-riding holiday experience we may change these. All changes are at our discretion but when changes are made, we endeavour to ensure that our high standards of quality are maintained and reflected in the alternatives we choose. Booking is possible all year round. Arrival at our Lodge at 10:00 am. Departure at around 2:30 pm (half-day) or 5.30pm (full-day).